One of Noah’s favourite games is “Can you find…?” and he will often initiate a game by asking “ummmm, what I see?”, which I’ll respond “Can you find something red?” or “a motorbike” or whatever. He absolutely loves it and it keeps him awake on the journey home from preschool, for example! I recently found this really fun game, which takes this idea and makes it a little bit more official. You can enter to win a packet of this brilliant game yourself. See below for how to enter. What I love about this idea is that the child is looking at the world around them and seeing how different items have different properties. It challenges the child to look closely at their natural environment, using all of their senses. This idea is something that will work in almost any natural setting. We have used it in a walk in Malta, where we were just following the road, but it works just as well on a nature walk, in the woods, at the beach or park. It actually also works in the house, too, although the adult may need to adjust some of the cards in play a little bit. This idea comes from The Sensory Trust. 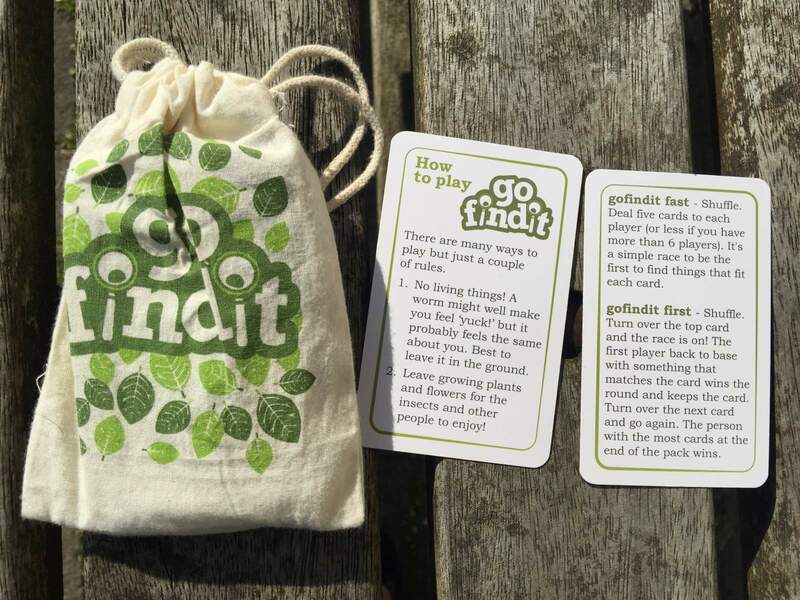 It is called Go Find It and it is a card game and scavenger hunt. There are a few ways to play, which you can see the photo above. The simplest way is I show the boys a card and they hunt to find an item in nature that matches the card. 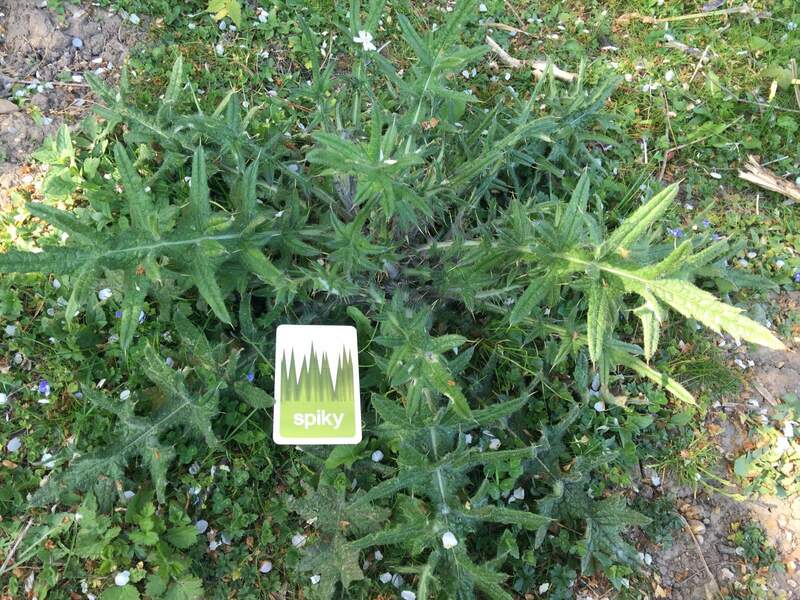 The child finds something tiny, smooth, green, spikey, and so on. There are 33 cards so we don’t have too many repeats. I love that they are being active, using their senses and finding things to fit the description on the card. Sometimes this means using their imagination, too. This can be played as a game where a number of cards can be dealt out to each child and then the children have to find those items. 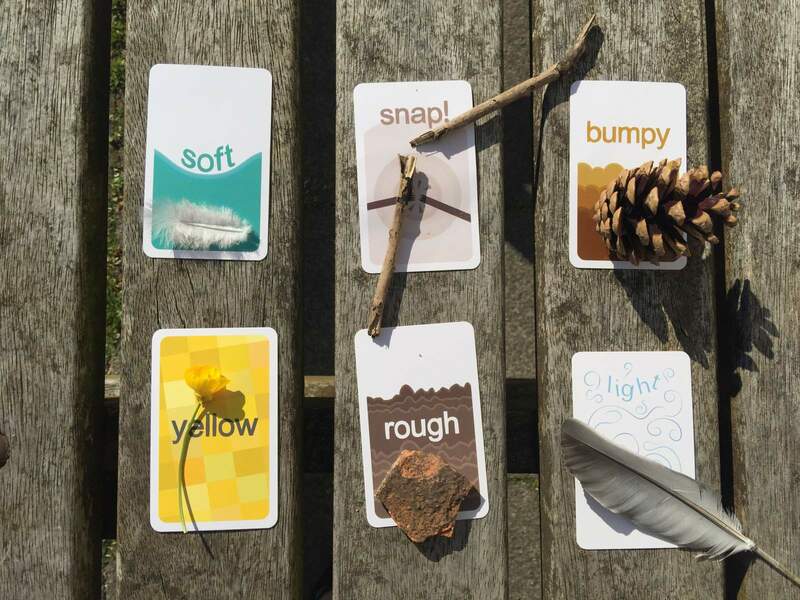 Or the children can be shown one card and they all need to find one item from nature that matches. At the moment I keep the pack of cards in my bag and pull it out at times when our walk needs a bit of va-va-voom! A game can last for a few minutes or hours! I love that this is a scavenger hunt that we can take anywhere and use in any season. 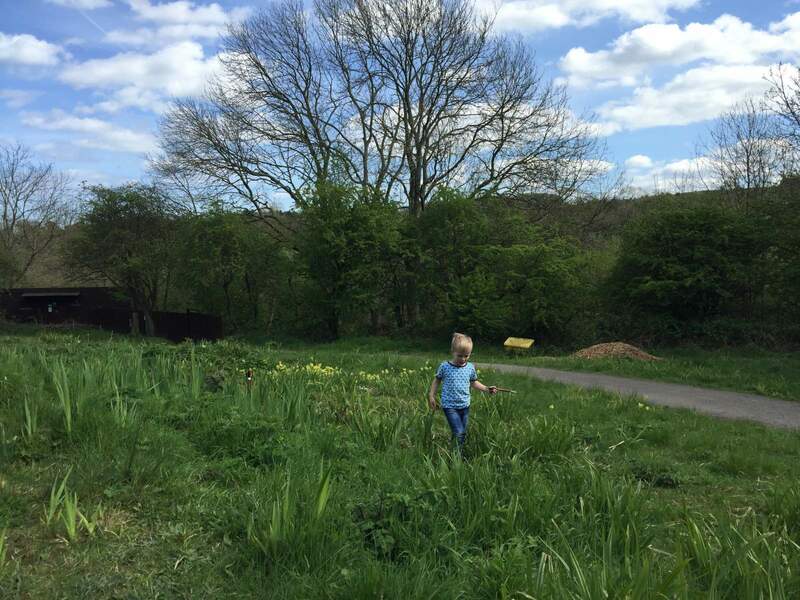 It makes the children think about the qualities of the natural items and to touch, feel, smell, listen. 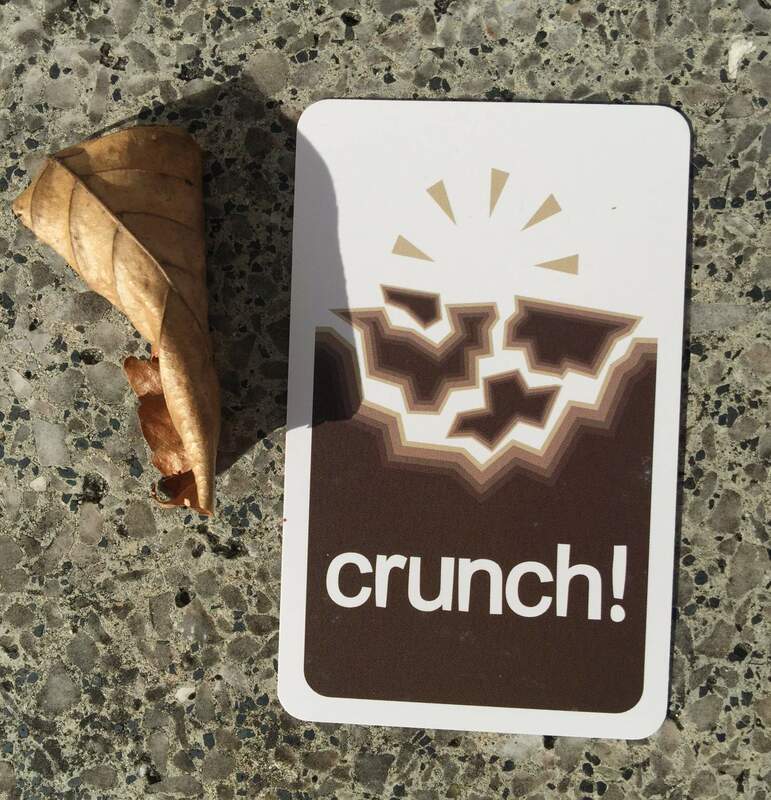 Rather than find “a pretty leaf” it’s find something green, or red, or with crunch. I’m a little in love, this is a really beautiful activity and the concept is just fantastic! You can buy the Go Find It game here! Go Find It is recommended for children 3yrs+. 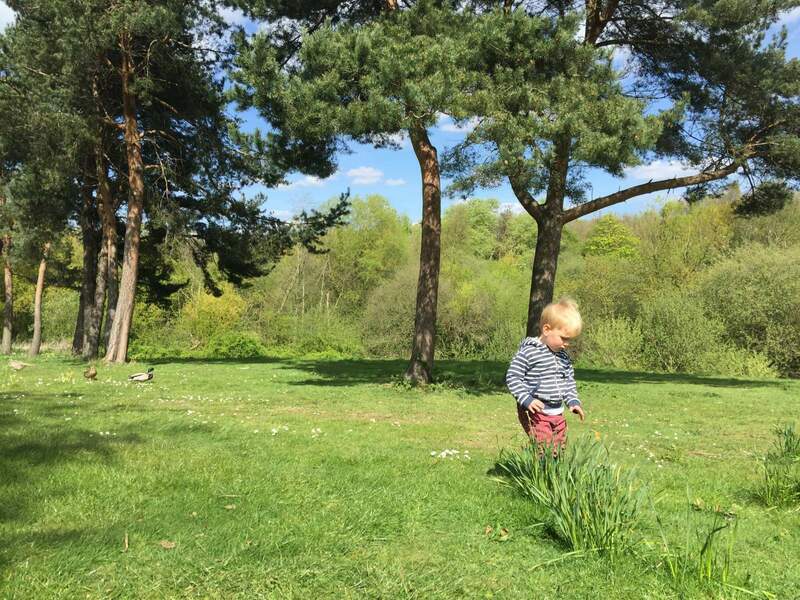 Both my children have enjoyed this and really get into this nature treasure hunt game! The giveaway below closes at 11:59pm on Sunday 29 July 2018. UK entries only. Good luck!